How SANGKRIT.net Protects Your Expired Domain Names? 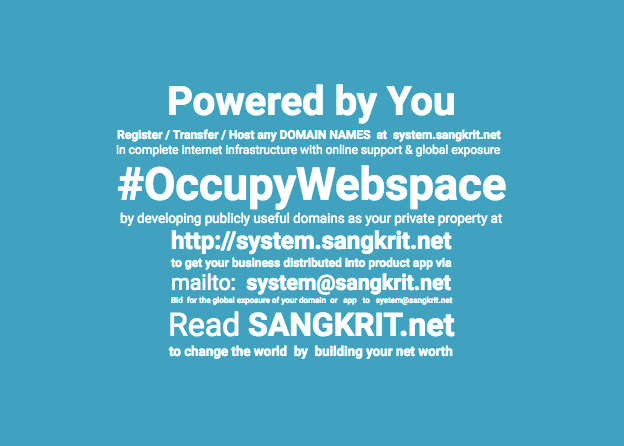 Although SANGKRIT.net provides you an option to automatically renew your domains so that you don’t lose them in future. But still, if in case a user opts for manual renewal and mistakenly let his domain name expire. If auto-renew is enabled then on the day after your domain name registration’s expiration date, the system attempts to bill you for the domain name renewal. If auto-renew is disabled then the system notifies you of the domain name registration’s expiration and parks your domain name so that you can manually renew it. On the 4th and 12th days day after expiration, system emails you additional notifications so that you can manually renew your domain name. On the 19th day after expiration, your domain name remains on hold but becomes subject to a redemption fee. You can call customer support to renew your domain name, subject to any applicable renewal and redemption fees. Your domain name is your private property, losing it can be a big loss to your business. To avoid any accidental domain expiration you must set your domain names to automatically renew upon expiration. This can be easily done from you Domains -> Manage page, on the Domain Settings section. All you have to do is turn Auto Renew button under Additional Settings.